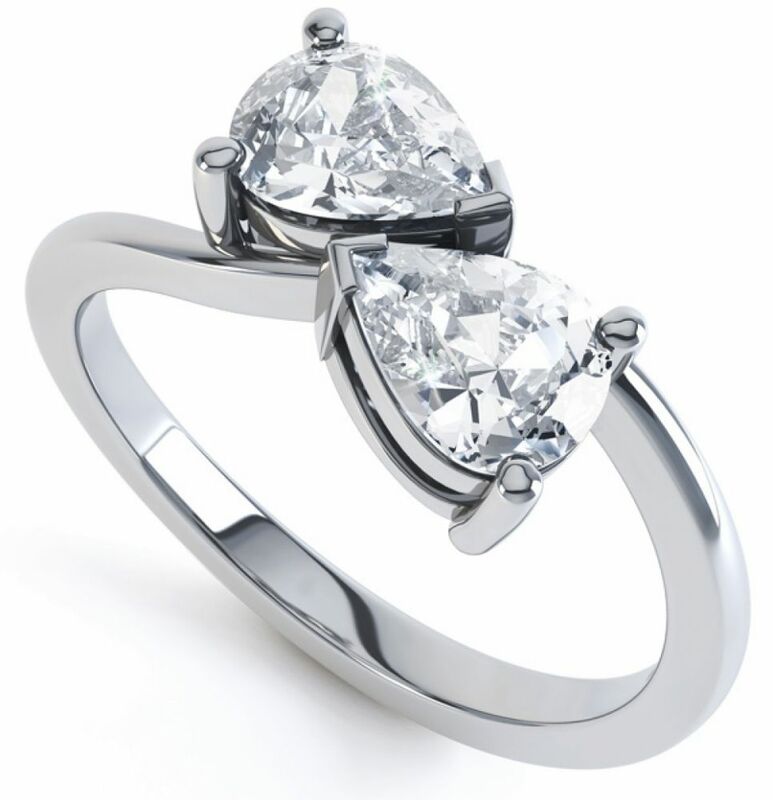 Uniquely styled 2 stone diamond engagement ring, created with a matching pair of brilliant cut pear shaped diamonds. Created with 2 perfectly matched, Pear-Shaped Diamonds, this elegant design boasts completely unique styling. Both Diamonds are mirrored above beautiful crossover shoulders. 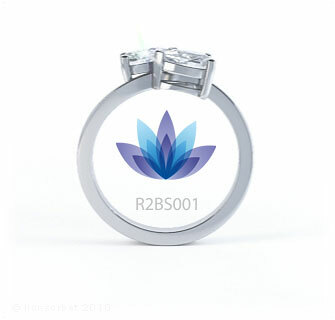 Available in a range of precious metals, we will create the perfect ring for you. Please allow around 4 weeks for us to hand-craft this ring design. Each ring is produced with demanding attention to detail for the perfect finish. Your ring will be delivered straight to your door by a secure courier and packaged in our discreet packaging.